Shop for manual chain hoists at material handling solutions. 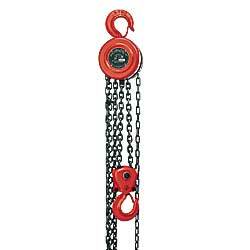 We offer high quality chain hoists at low prices. 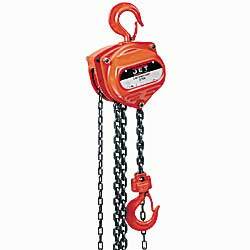 Our manual chain hoists come in a variety of different sizes and capacities. Manual chain hoists are designed to lift loads in a variety of industrial and commercial applications. 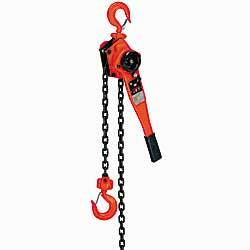 We carry many different manual chain hoists with custom lengths and various capacities. We also carry gantry cranes, jib cranes and wall mounted jib cranes. We offer many other types of material handling equipment. Please check out our large selection of various types of storage cabinets and warehouse storage racks to utilize your facilityâ€™s space to the fullest capacity. We have a huge inventory of pallet racks and we can usually ship any order within 96 hours. Call us toll free with any questions you may have and one of our specialists will help you find what you are looking for.